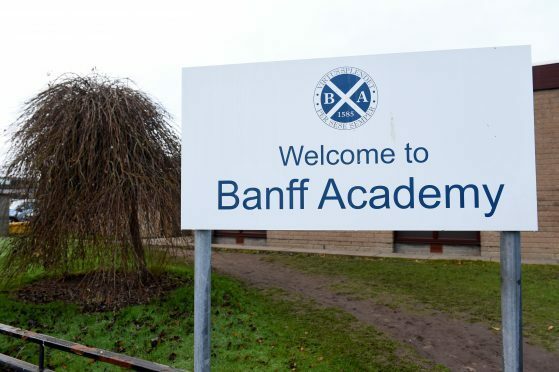 Fourth-year attainment at Banff Academy stayed at the same levels in 2018. The technical department at Banff Academy has been revamped with decades-old equipment making way for brand new machines and furniture. New desks and chairs have been moved in along with a sawdust extraction system designed to protect pupils. It is hoped the modernisation programme will improve the learning environment for children at the Bellevue Road secondary and help prepare them for the workplace. Banff Academy head teacher Alan Horberry said the changes will boost the prospects for his pupils. He said they will also be able to offer some student engineers somewhere to train closer to home. Mr Horberry said: “It allows us to deliver a range of courses better than before. “In addition we’ve secured an agreement with Nescol for one of their courses to be delivered without young people having to travel for an hour. “Our vision for the school is building skills for today, tomorrow and the future. We are literally building skills and it is a really nice for. Macduff councillor, and former Banff Academy pupil, Mark Findlater welcomed the changes made to make the classroom fit for the 21st century. Mr Findlater said: “The work that has been carried out at Banff Academy is brilliant. “This was by the new head of the technical department and the head teacher at Banff Academy. “Up until very recently they were using the same equipment I had when I went to school there and they really needed changing. Last night a council spokesman confirmed that the project was finished and that the new classrooms were ready to be used. He said: “We are pleased to announce the work to improve the technology department and repairs to the roof of Banff Academy is now complete. “The improvements worth £770,500, which was funded by the council, will make the school’s technology workshops more accessible and modern.